“1950s marked the emergence of a new global communication way called as Internet and the first message to be sent by using Internet was from UCLA by Prof.Leonard Kleinrock. Though it was till 1997 the modern kind of social media wasn’t involved and the team who named the modern social media network as ‘Six Degrees’ did it and emerged the new face of social media. As rightly said by JP Rangaswami “Social media offer the government a much better picture of what the citizen looks like. There is a better engagement process between the citizen and government. Social media can create a level of interaction with consultations that just wasn’t possible before.” Social media can also be used for harvesting collective ingenuity of the public in much more efficient and paperless way. Government of India is making tremendous efforts in conveying messages to its citizens with the help of social media sites like Twitter and Facebook. Ministry of Finance Facebook page https://www.facebook.com/pages/Ministry-of-Finance-Government-of-India/172154416195975 is able to connect with the citizens of India and is also very much useful in marking the foundation of E-Governance. Ministry of Information and Broadcasting under Government of India is the first Ministry to create its Facebook page https://www.facebook.com/inbministry and Twitter handle @MIB_India to get connected with the Ministry of Information and Broadcasting. Constant updates relating to many departments of the Government of India are constantly updated on Facebook and tweeted in Twitter so as to let the Citizens of India know the events happening in their country. Ministry of Information and Broadcasting recently undertook a Digital Internship Program by which they were connecting youths all over India to get connected with various. Many videos regarding India’s progress and cultural diversity and videos of recent events are uploaded on the You Tube channel http://www.youtube.com/user/INBMINISTRY . Currently Ministry of Information and Broadcast is the only ministry to use social media at such a larger prospect. During the conversion of signals from Analog to Digital, Government of India used the tool of social media to efficiently spread the message of how Digital technology is going to be proved very useful in near future through its Facebook page www.facebook.com/DigitalIndiaMIB. And it proved to be quite useful for the Government to eradicate all the doubts and confusions which the Cable Operators all over India were having, only due to efficient use of social media. The Prime Minister of India Dr.Manmohan Singh is also one of the most followed person on Facebook and the page of Dr.Manmohan Singh is https://www.facebook.com/dr.manmohansingh and he has a follower database of around 3,70,000 and that of Gujarat Chief Minister 25,00,000 likes and his Facebook page is https://www.facebook.com/narendramodi and he is the first chief minister of any state who is more popular than the Prime Minster of the Nation. Narendra Modi, Chief Minister of Gujarat is having heavy follower number and he has1.95 million followers on Twitter and the handle used is @narendramodi . The Prime Minster of India is widely recognized as Man of Economic Reforms and all the events where Prime Minister of India is going to take part is updated on the Facebook page and also on Twitter. This allow people to hear the speeches given by him in various events and also to read the articles which are published by the Prime Minister’s Office also the events are continuously updated on his twitter handle named as @PMOIndia. The Planning Commission of India has also created their won Facebook Page as https://www.facebook.com/PlanComIndia and many activities regarding the activities or publications of the planning commission are updated on the Facebook page. They also invite comments and suggestions regarding India’s future developmental plans and people are overwhelmingly respond to the questions or polls put forth by the planning Commission. Tourism Ministry has created a brand for promoting domestic as well as international tourist to visit different parts of India and the name of the brand is “Incredible India”. The Facebook page which is devoted to promote the brand is https://www.facebook.com/India.IncredibleIndia and it is also continuously updated by uploading images of various scenic beauties of nature and delicious food preparations from all over India like Pani Puri from Bhopal, Rosgulla from Kolkatta, Vada-Pav from Mumbai and Dhokla from Gujarat. For having strong international recognition you need to have strong ties with other nations and that work is carried out by Ministry of External Affairs under rule of Mr. Salman Khurshid who is the current Minster of External Affairs. The Facebook page for Ministry of external affairs is https://www.facebook.com/MEAINDIA . India’s bilateral relations are put forth in front of all the citizens of the world by using this Facebook page. This page also serves as major source of information for students studying in the field of Political Science and International relations in eminent Indian Universities like South Asian University, Jawaharlal Nehru University or Tilak Maharashtra University. “I have used an online public service to apply for fresh passport and fresh PAN card, reservation of tickets in Indian railways ,online education and training , paying utility bills, filing income tax return, applying for queries under Right to Information Act and for making new voter’s ID. Passport Seva portal (http://www.passportindia.gov.in)under Ministry of External affairs,Government of India is an online facility for applying for fresh/reissue of normal/tatkaal passport. I also used the online services of the portal http://www.utitsl.co.in/pan/ for online applying for my Permanent Account Number. http://www.indianrail.gov.in/ and https://irctc.co.in/ . Payment can be made through internet banking ,debit/credit cards of Master/Visa. I enjoyed this free online education programme ‘Online Certificate Course on RTI’ (http://rtiocc.cgg.gov.in/home.do) for various stakeholders launched by the Department of Personnel and Training (DoPT), Ministry of Personnel, Public Grievances and Pensions, Government of India (GoI) has launched it in association with the Centre for Good Governance, Hyderabad.The most attractive part of this programme is to audit the proactive disclosure made by any public authority under section 4(1)(b) of the RTI Act. I usually pay my MTNL(Mahanagar Telephone Nigam Limited) mobile and landline bill online through its portal http://mtnldelhi.in/paynow.htm . I also pay my electicity bill online on the portal of Delhi Government (http://delhigovt.nic.in/bijli.asp). Payment can be made through internet banking,debit/credit cards of Master/Visa. Every year I file my Income Tax Return on the Portal of Income Tax Department,Government of India i.e. https://incometaxindiaefiling.gov.in/ . Being an effective citizen of a democratic nation I have every right to know the work of government and its agencies and this right has been given to every Indian citizen under RTI Act 2005. A public portal http://www.rtionline.gov.in/ helps me in filing RTI applications/first appeals online along with payment gateway.The requisite fee can be made through internet banking of SBI & its associate banks and debit/credit cards of Master/Visa. “Public Service means any service provided by the specific government either directly or through any service provider, which includes, inter alia, the receipt of forms and applications, issue or grant of any license, permits, certification, sanction and approval and the receipt or payment of money by whether name called in a particular manner. Electronic/Internet Service Delivery means the delivery of services through electronic mode including inter alia, the receipt of forms and applications, issue or grant of any license, permits, certification, sanction and approval and the receipt or payment of money. Indian Railways Online Services: Indian Railways is the most important public transport department. Which provide many online service among them I always used online reservation service. Indian railway provides their services mainly through 2 websites, http//:www.indianrail.gov.in/ and http//:www.irctc.co.in/. Through these websites we can get information’s about Trains between Stations, PNR Status, Seat Availability, and Fare Inquiry by using internet. http//:www.indianrail.gov.in/ is mainly provides information’s to make a travel plan. It proved beneficial to common public. Before the introduction of these websites online services, getting information’s was very difficult for public, public have to wait for long hours to get information’s from limited information centers. And today, it can be done by few mouse clicks. Online Reservation can be done by http//:www.irctc.co.in/. Services offered in the websites are booking of E-Ticket/Season Ticket/ I-Ticket; and Cancelling E-Ticket/I-Ticket, Compatible browser, and Tatkal Reservation can be done through it. It is very helpful; we can book ticket from home, internet café, and mobile SMS through Register with http//:www.irctc.co.in and paid money online by using credit card, debit card or net banking and new innovation of services by Indian Railway is SMS service for taking the Reservation. Before the introduction of these services, Booking or Cancellation of Ticket was very difficult. People were compelled to stand in lines at reservation counter for several hours. Lack of information used to make situations worst. And nowadays these services are very productive and are proved very effective and helpful to common people. The Government of India, has Passed a Act in Parliament for Government department, any common people can ask information under Right to Information Act. Through online http//:www.rtionline.gov.in/. It is really a great step towards Right to Information for a common people. This service, I always used for taking the information’s. Today Income Tax Return can be filled online by using http//:incometaxindiaefiling.gov.in/. This facility is really beneficial for citizen who wants to file their income tax return; this website gives opportunity to fill income tax return from any where you are you can use it. “E-governance has been considered as the best way for good governance. Communication and internet Technology has brought world near and has great impact on the life styles of people. The mode of obtaining services and its delivery has undergone tremendous changes with the improvement of technology that covered almost all types of services whether banking, insurance, other financial services or services from local corporations and government bodies. The relationship of service provider to that of service taker has also changed and has brought changes in quality of the service and its timely delivery. Indian government has planned for e-Governance and initiated actions to improve delivery of Government services to citizens and businesses with the vision to make all Government services accessible to the common man in his locality, through common service delivery outlets and ensure efficiency, transparency & reliability of such services at affordable costs to realize the basic needs of the common man. Government of India decided to promote e-Governance through a centralized initiative to ensure citizen-centric orientation with decentralized implementation model. It will help realize the objective of inter-operability of various e-Governance applications and ensure optimal utilization of ICT infrastructure and resources. It also aims at identifying successful projects and replicating them with required customization wherever needed. Accordingly the National e-Governance Plan (NeGP) has been formulated by the Department of Electronics and Information Technology (DEITY) and Department of Administrative Reforms and Public Grievances (DARPG). 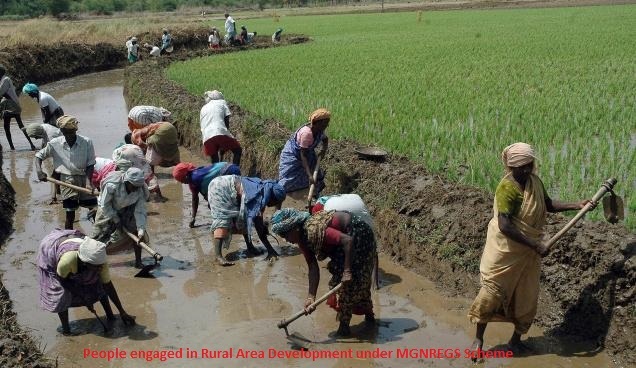 The Union Government approved the NeGP, comprising of 31 (originally 27) Mission Mode Projects (MMPs). Various Indian Union Ministries/Departments and State Governments are involved in Implementation of the e-Governance plan and the need for overall aggregation and integration at the national level was important. e-Governance in India has steadily evolved from computerization of Government Departments to initiatives that encapsulate the finer points of Governance, such as citizen centricity, service orientation and transparency. The projects are expected to reduce number of trips of service users to service provider as also the waiting period apart from reducing the corruption and providing quality service. 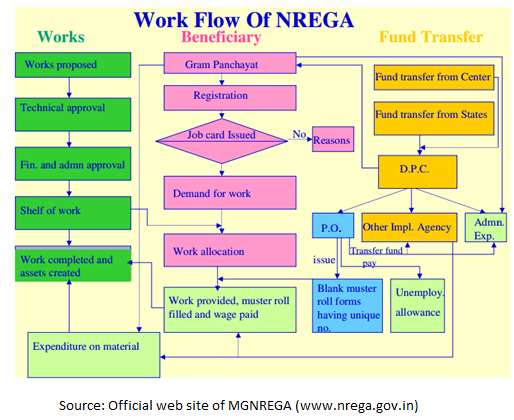 “e-Governance in Urban Local Bodies” is a unique initiative of the Government of India conceptualized under the umbrella of the overall National e-Governance Plan (NeGP) and the Jawaharlal Nehru National Urban Renewal Mission (JnNURM) aimed at improving operational efficiencies within Urban Local Bodies (ULBs). Presently there is very limited or no computerization across ULBs in different States. Building Plan – Single window based – Online submission through accredited/licensed Architects, online check and permission, Field check through Handheld device (GPRS & GPS based photos and measurement device) and authentication. NOC from Various dept. would be obtained through SLA based Input screen and secured VPN links. Grievance /Service request/Feedback – Online application, application status tracking, pendency tracking. As already mentioned in the above paragraph Scholarship are many and its target beneficiaries are not fully aware of existence of such scholarships. At least 42% of students are ignorant of available scholarship to pursue their entire education. In fact government has ambitious plans in place for female literacy starting from primary schooling to graduation and beyond. Parents are also are not aware of existence scholarship. Schools have much information of available scholarship but dissemination of information is not equal among the students due to some of the inherent issues. Considering many issues mentioned it’s students who are the ones missing out the opportunities which gives rise to improper employment, livelihood. and other social problems facing the society. To overcome ignorance of available scholarship information a government sponsored student focused ON-LIN E portal must be established with the sole objective of disseminating the educational scholarships –fellowship –internship and university course related information to students. Objective of On-line portal must not only be a scholarship Information source but also students must be able to fill in the online scholarship application, authenticate, processing and finally be awarded the scholarship and money credited to his bank account. In addition to scholarship course, university admissions, fellowship and internship must also be available on this portal. How can this be done? Online portal must be built to accommodate all the flavors of regular E-mail account generation process, social media, blog and all other regular features disseminating all available government scholarship. .
Any student right from school to university must be made mandatory. register at this online portal with all the information, student’s family financial status and also acute requirements to continue the education. This registration process is linked to the school records and awaits authentication from the school. Once authenticated system generates the E-mail login ID and password .which students uses this for rest of the academic years. Online Portal also generates a student bank account for crediting the financial proceeds of the scholarship. Depending upon the student’s requirement requested during the registration process system generates a relevant mail and send the scholarship application to the student’s mail account and encourages the student to fill it up and submit. This application will again follows through the process of authentication, eligibility conditions, student’s academic performance and finally crediting the scholarship to his bank account. In addition to the scholarships information and disbursement online portal also helps the student to find the proper school-university-course-tuition-online courses. University applications are made available and entire process of admission happens will happen online.